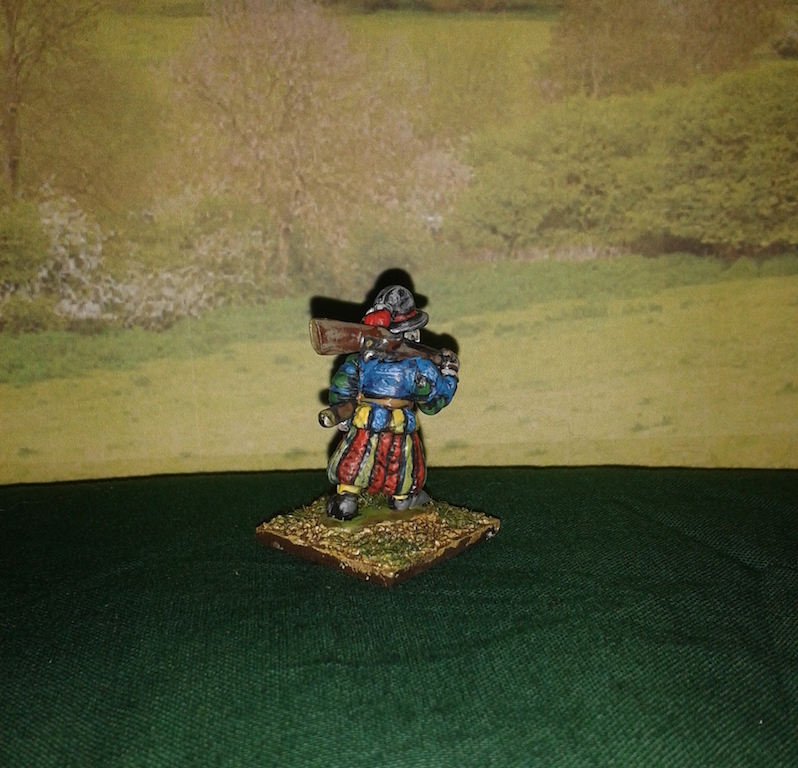 A set of four Landsknecht 28mm figures armened with 16th century calivers. These awesome mercenary fighters had a reputation for bravery and loyalty! Please allow 7 days for delivery of 28mm figures.